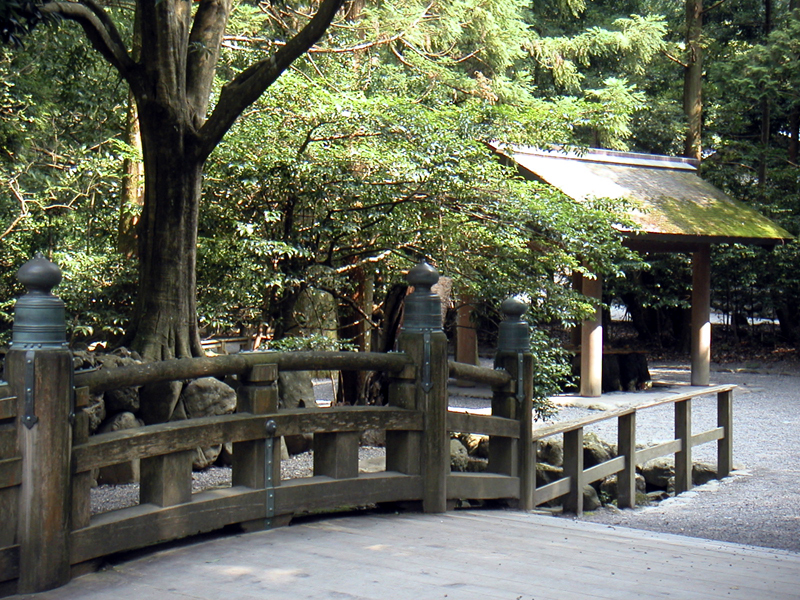 Ise Jingū, or simply "Jingū" (Grand Shrine), is the only of Japan's 100.000 shrines dedicated to the Sun Goddess and Supreme Shintō Deity Amaterasu Omikami. 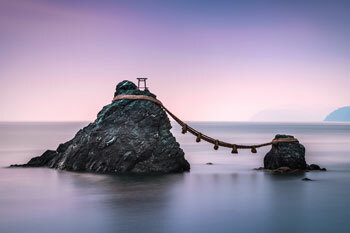 Kept out of the way of tourists deep into Mie prefecture, Japan's most sacred sanctuary attracts nevertheless 7 million (mostly Japanese) visitors a year. According to the legend, the imperial family descends in direct line from Amaterasu. 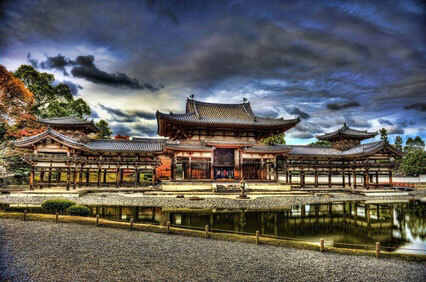 Amaterasu's mirror ("Yata no Kagami"), symbol of the kami, was kept in the Imperial Palace until the reign of the tenth emperor Sujin (first century BCE), when Princess Toyosukiirihime no Mikoto moved it to Kasanuinomura. Thereafter, Amaterasu Omikami is said to have requested a more suitable site, and under the reign of the eleventh emperor Suinin (4 BCE), Imperial Princess Yamatohime no Mikoto set off a journey around the Kansai, and finally settled for the present site by the upper Isuzu river, where Amaterasu Omikami would be enshrined for eternity. 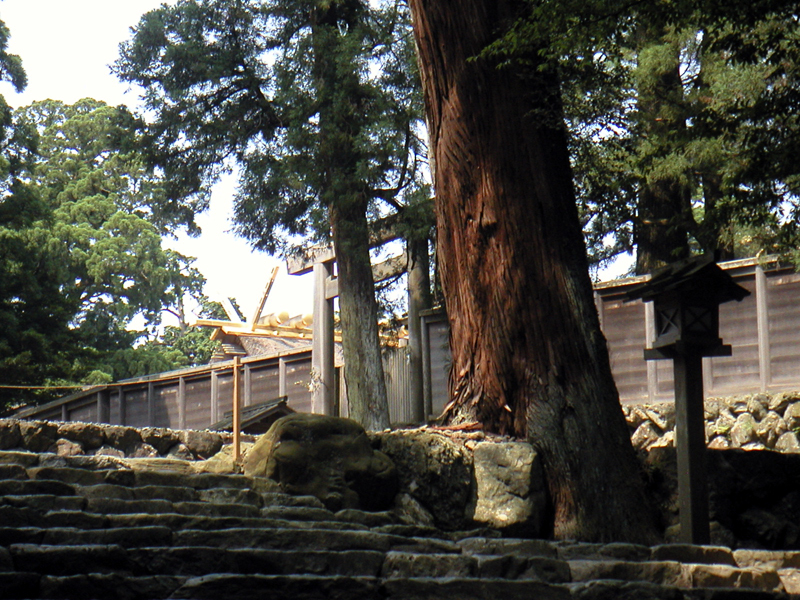 Ise Jingū is composed of two main shrines; the Naiku (内宮), or Inner Shrine, dedicated to Amaterasu Omikami, and the Geku (外宮), or Outer Shrine, where Toyouke Omikami, kami of food, clothing and housing, is revered. 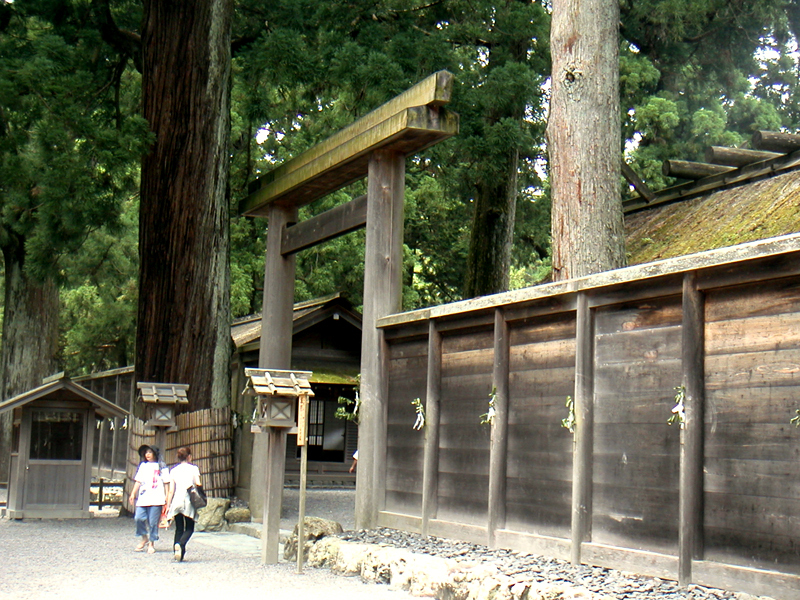 Due to the extreme sanctity of the shrine, no visitors nor pilgrims are allowed inside the four rows of wooden fences of the Geku and Naiku's main sanctuary. 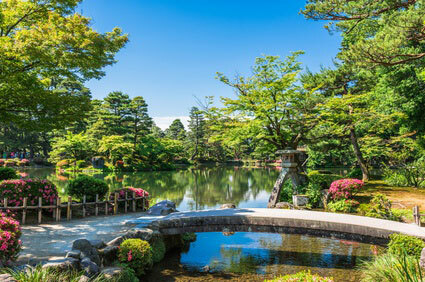 Another particularity of Ise Jingū is that it has been continually rebuilt every 20 years since year 690. 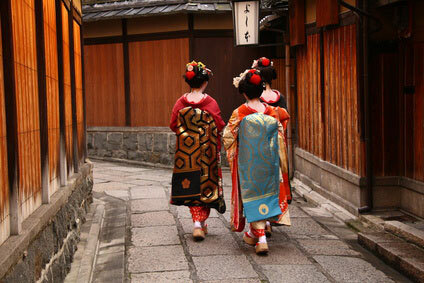 The ceremony is called Shikinen Sengu (式年遷宮) and is aimed at maintaining the purity and freshness of the place. 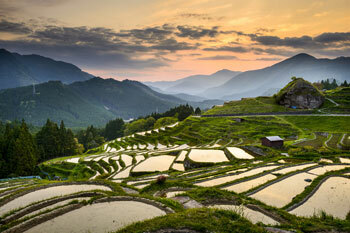 This might have influenced the Japanese to tear down and rebuilt their houses almost as frequently. Both Naiku and Geku have their respective auxiliary site where an identical copy is erected using the traditional method (without nails !). In due time, a solemn nocturnal ceremony called Sengyo (transfer) is performed. 1085 sacred apparel ("onshouzoku") coming in 125 categories, and 491 sacred treasures ("goshimpou") made up of 189 kinds of objects, plus an additional 1600 accessories are transfered from the old to the new sanctuary. 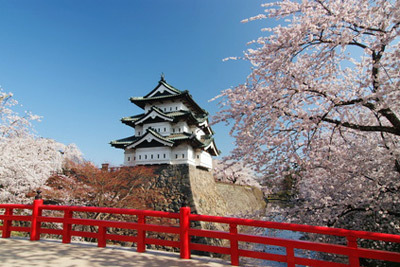 The last reconstruction was in 1993 (61st time) for a total cost of no less than ￥5 billion. 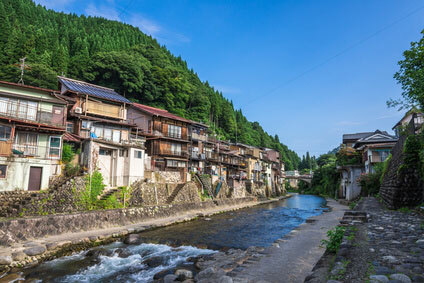 The grounds of Ise Jingū are located 40 minutes walk (3 km /2 mi) from Ise city's Isuzugawa Station, which has direct train connections to Nagoya (Kintetsu-Limited Express, 1h45min, ￥2,780). 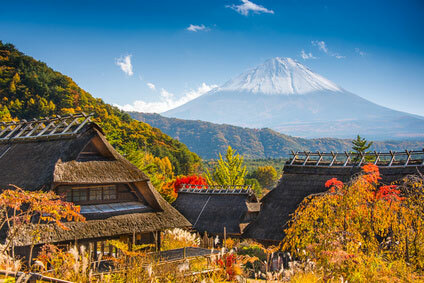 Coming from Kyoto or Osaka by train require several changes and take about 2 hours 30 minutes.